Dr. Sebastian Maiß | Littler Mendelson P.C. 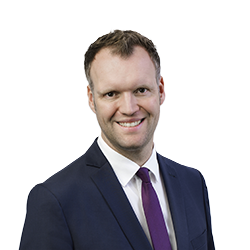 Dr. Sebastian Maiß advises clients on all individual and collective employment law matters and related fields of law. He primarily provides companies with ongoing legal advice regarding day-to-day human resources matters, with a special focus on corporate restructuring. Sebastian has long-standing and extensive experience in international hiring and advises managers on entering into and terminating contracting agreements. As a trial lawyer, he represents his clients throughout Germany in all courts. Before joining vangard, Sebastian held positions at other international law firms, including a role as Partner. He was admitted to the bar in 2004 and is a specialized lawyer (Fachanwalt) for employment law in Germany. He publishes regularly in professional employment law journals and is a staff writer for Gesellschafts - und Wirtschaftsrecht (GWR), a periodical published by the Beck-Verlag.